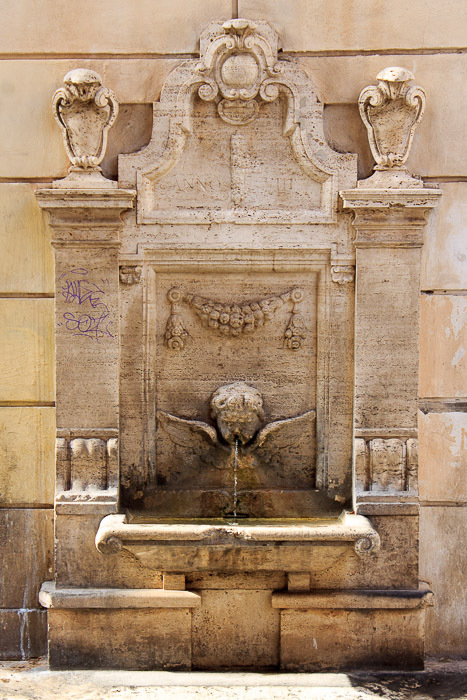 The Fountain of Via Paolina is a modest wall fountain in the shadow of Santa Maria Maggiore on Via Paolina. A winged cherub's face, located below floral festoons reminicent of the interior of the Ara Pacis spews water into a small basin also mounted to the wall. 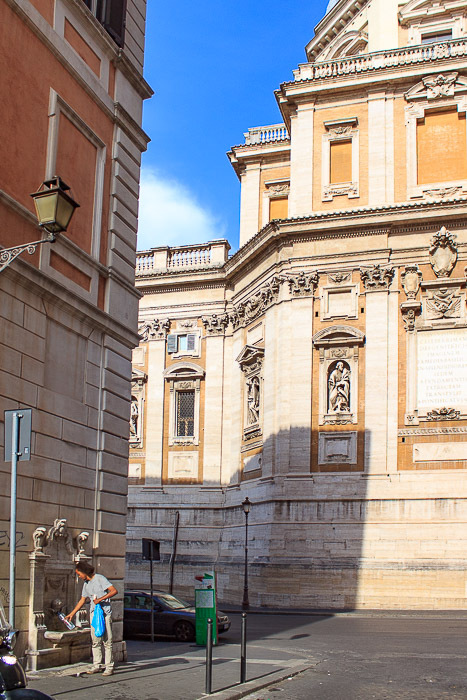 See all Fountain of Via Paolina photos.